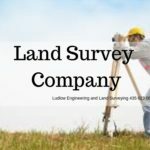 Land surveyors are responsible in determining the exact measurements and boundary points of a specific property, which includes putting up stakes to mark the locations on the land survey map. While doing the land survey work, the land surveyor, in as much as possible, shall avoid any conflicts of interest, fraud, misrepresentation and all other dishonest activities. He is responsible in performing adequate oversight and must review any work certified by him. This means that he is required to maintain a high degree of competency in the practice of his profession. All employees of the land surveyor must receive the appropriate training necessary to perform an efficient and accurate work. It is the duty and responsibility of the surveyor to supervise all employees in order to maintain a high level of competency. A land surveyor is expected to apply the laws and procedures relating to land ownership, boundaries and titles including performing a study of the natural and urban environment. 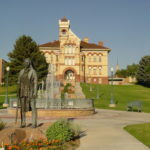 He is also expected to maintain the confidential nature of the survey, but must conduct corrective acts in the event of significant mistakes or any discrepancies discovered. Contracts that have been underestimated cannot be short cut to meet the budget! The land surveyor must accurately map out positions of boundaries. There shall be no room for mistakes, because the details of real property locations and other information directly affects the nature and volatility of the real estate activity, such as the property rights, land values and business contracts. Please note that a land surveyor is required by law to provide information pertaining the boundaries of the property to other land surveyors working in the vicinity. You cannot tell land surveyors to keep the boundary points of your property a secret. 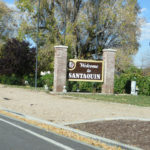 Boundary decisions are based on impartial consideration of the evidence without regard to the identity of the landowners. He is expected to exercise professional conduct at all times, both in the practice of the profession and in personal behavior. 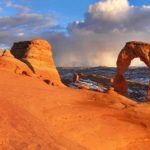 Land Surveyor Utah County – A land surveyor is responsible for the evaluation of the surrounding terrain and landscape using specialized technology and equipment to ensure no errors are being made. His role involves both working on project sites and back in the office. While on the project site, he performs a range of mathematical measurements to gather the information necessary to detail and map out the land, such as distances, heights, slopes and features. The work of a land surveyor is crucial to the goals of the land developers. They measure and capture data that will be downloaded into a mapping software back in the office. In the office, the data are utilized to create detailed maps for those involved in designing and developing the site. A land surveyor collects and analyzes field data as well as keep accurate notes, records and sketches to describe and certify the work performed. Here at Ludlow Engineering, we have been in the engineering and surveying industry for over 40 years. Our team of highly-trained professionals will serve all your land surveying needs. 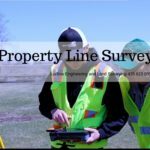 We offer surveys of every kind — from boundary surveys, to property divisons, alta surveys and topographical surveys, site plans, construction staking, legal descriptions, as-builts, and many more. 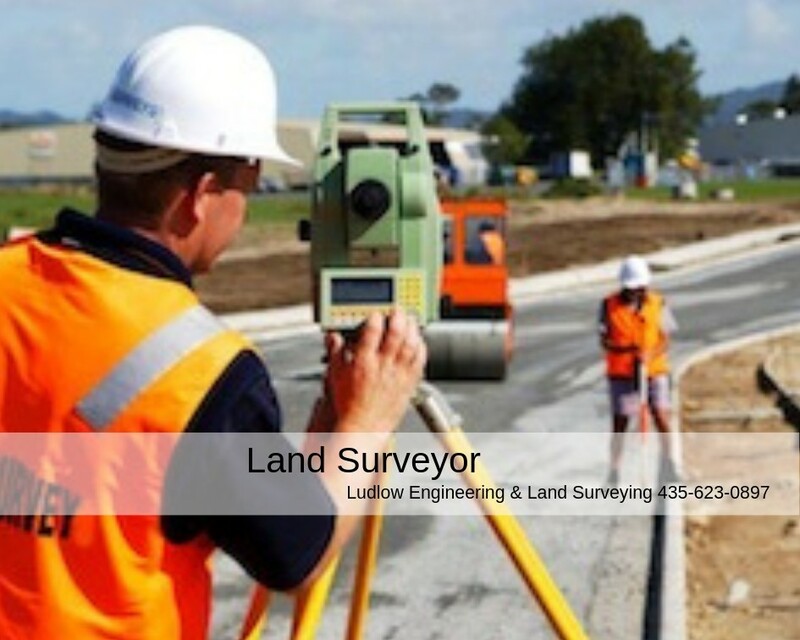 You can depend on Ludlow Engineering to provide a professional, accurate survey of your land. If you have a need for any type of land surveying or engineering, please call us today. 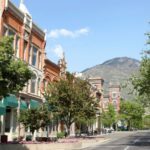 Ludlow Engineering and Land Surveyors (435) 623-0897. 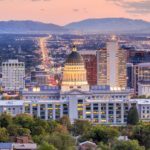 Learn more about Utah Land Surveyor here. 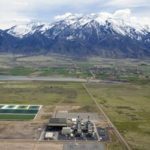 You may also enjoy visiting the Utah County website for land parcels and information.